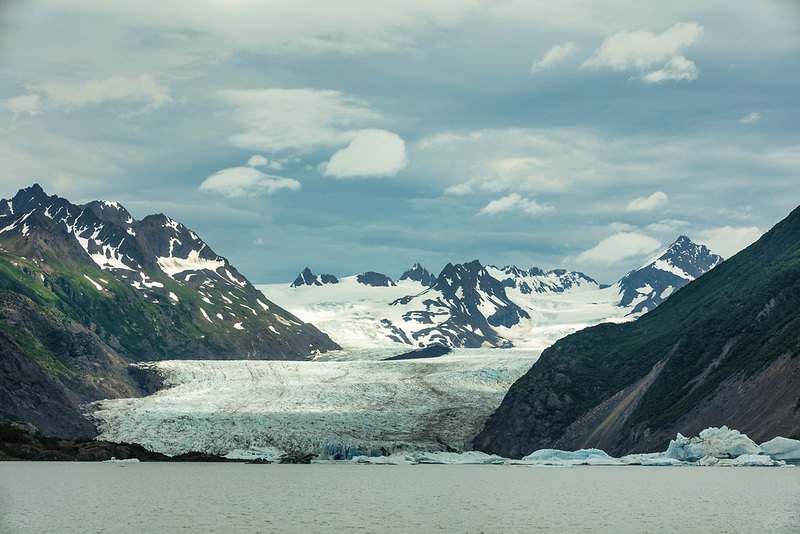 Patchy light on Grewingk Glacier and Lake in Kachemak Bay State Park on the Kenai Peninsula in Southcentral Alaska. Summer. Afternoon.